There are more than a few reasons an owner may consider selling a rental property. Selling investment property is slightly different from selling a traditionally owned home. There are several things investors need to know before selling a rental house. 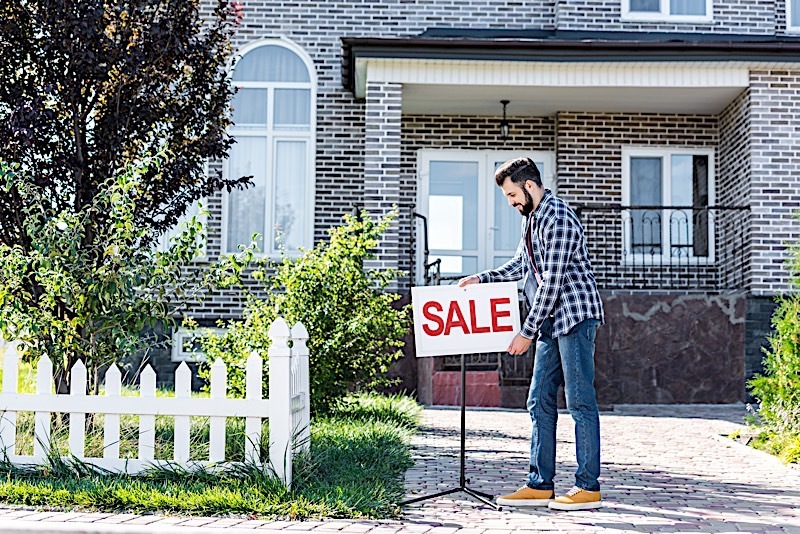 Selling a rental property may sound counterintuitive to the investors planning for retirement, but there are in fact several cases in which it can be a savvy investment move. Believe it or not, there are plenty of reasons owners may want to part ways with their assets. It is worth noting, however, that selling investment properties isn’t exactly the same as selling owner-occupied homes. There are several things that need to be taken into consideration, not the least of which includes tax implications and tenants. Rental properties are well known for generating passive income and building wealth over extended periods of time. In fact, the majority of investors covet the idea of owning an entire portfolio of rental assets that will potentially pad their retirement coffers over the course of their golden years. However, while buy and hold homes are a great investment strategy, they aren’t the only exit strategy awarded to savvy individuals. There may come a day when selling a rental property may work to an investor’s benefit. If there is potential for the equity you have in the home to earn higher returns elsewhere, you may want to consider selling your rental property. It is entirely possible a better opportunity is brought before you, but exercise every option available before making a rash decision. If you need access to more capital, consider borrowing from a private lender. If you need to entertain a more liquid cash position, or you need immediate access to a large sum of money, you may want to consider selling your rental property. Of course, if that’s the case, you need to make sure selling a valuable asset is worth the liquidity it grants. In the event you would realize a significant tax benefit (one that warrants the sale of the property), you may want to consider selling the home. Sometimes improperly managed rental properties can be hard for investors to manage. Therefore, you may want to consider selling if the asset becomes too demanding. Having said that, there are third-party property managers capable of doing the “heavy lifting” for you. Once you have identified a scenario in which you want to sell your your rental property, there are a few additional important things to consider. For example, if you currently have tenants living in the property. After all, tenants have legal rights that owners must abide by. In order to sell a rental property that has tenants in it, owners will need to follow the right steps. In the event the tenants are on a month-to-month lease, conduct some research on your state laws to see how much of a notice you are required to give before making them vacate the premises. Most states will require landlords to inform tenants somewhere in the neighborhood of 30 to 60 days before they want them to vacate the home. Check with your state to make sure you are following the right steps. If your tenants are on a fixed-term lease, you may need to wait until the lease term is up. When the time comes, you must send them proper notice to vacate the property as well. That said, you don’t always have to wait. It is entirely possible to pay your tenants to leave. If you can get the tenant to agree, it may be worth it to pay them to vacate the home in order for you to sell immediately. Of course, not every situation is so transparent. You must abide by your state’s laws, or you run the risk of turning a simple situation into a messy one. Once the tenants are removed from the home, selling the rental property will proceed like a traditional sale. Visit this resource for advice on how to sell your own investment property for a profit. Another important aspect of selling a rental property that requires careful consideration are the tax implications. After all, when a property is sold, the seller will be expected to pay taxes on any gains that are realized. Conversely, any losses will be able to be deducted, subject to important legal limitations based on the state the sale takes place. It is worth noting, however, that an owners basis in their property isn’t fixed, but rather in a constant state of flux. The basis one has in a property will constantly change with the value of the home. Any reduction to an owner’s basis will increase their tax liability, whereas an increase in the basis will simultaneously reduce their gain and taxable obligations. Buy and hold rental properties typically stay true to their name, as few assets are more valuable to today’s investors than those that can result in positive cash flow. However, there are certainly scenarios when it simply makes sense to try and sell the home. If that’s the case, remember to take into consideration current tenant leases as well as potential tax implications to make sure your sale is a smooth one.